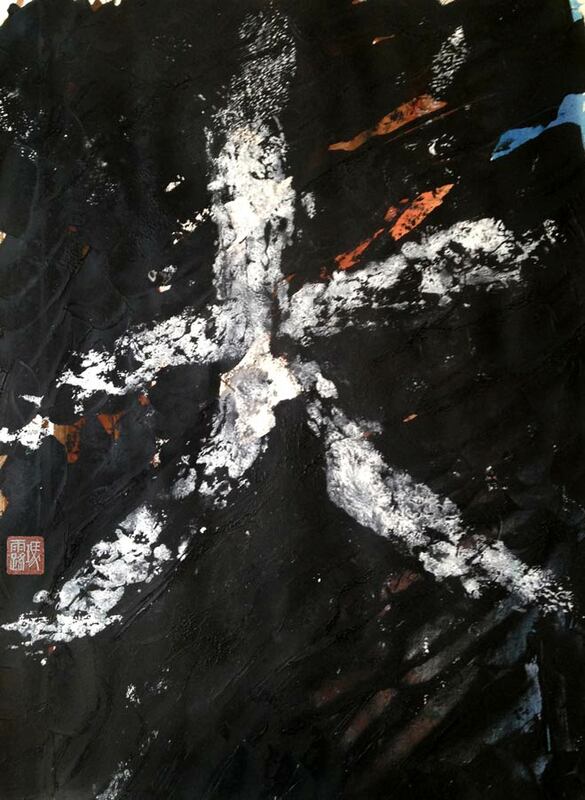 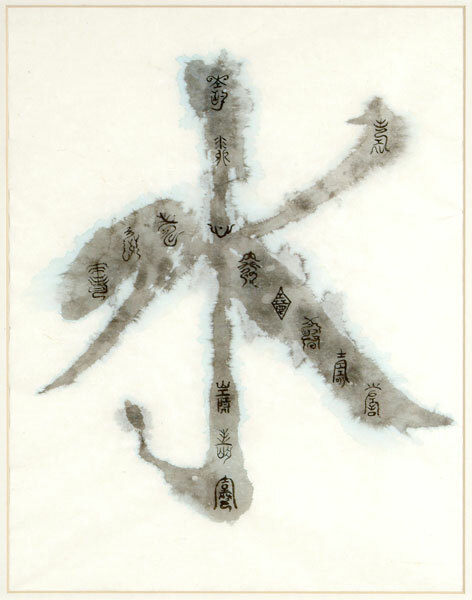 The calligraphy you see here took birth as pictograms in ancient China around 5000 B.C. 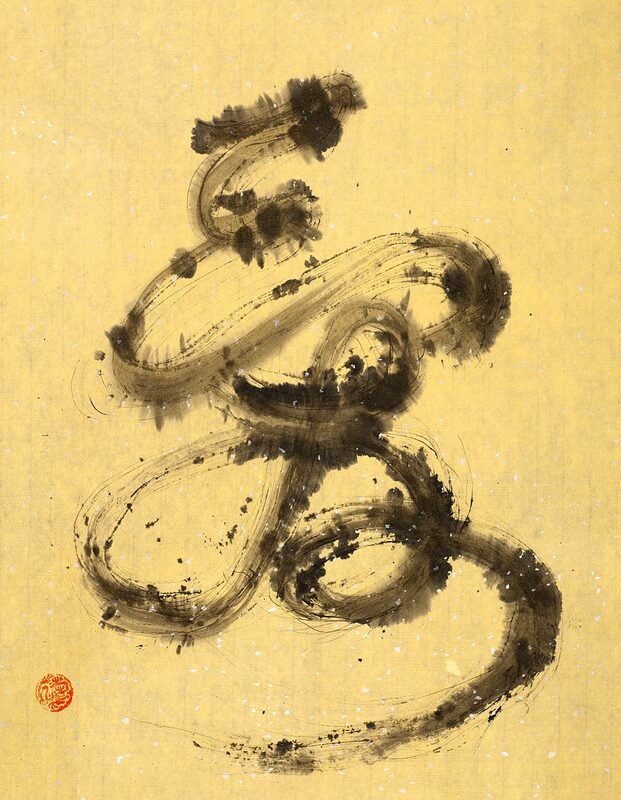 (see Ancient: Scripts and Pictograms) and developed over centuries into many styles of script still written today in China, Japan, Korea, and other East Asian countries. 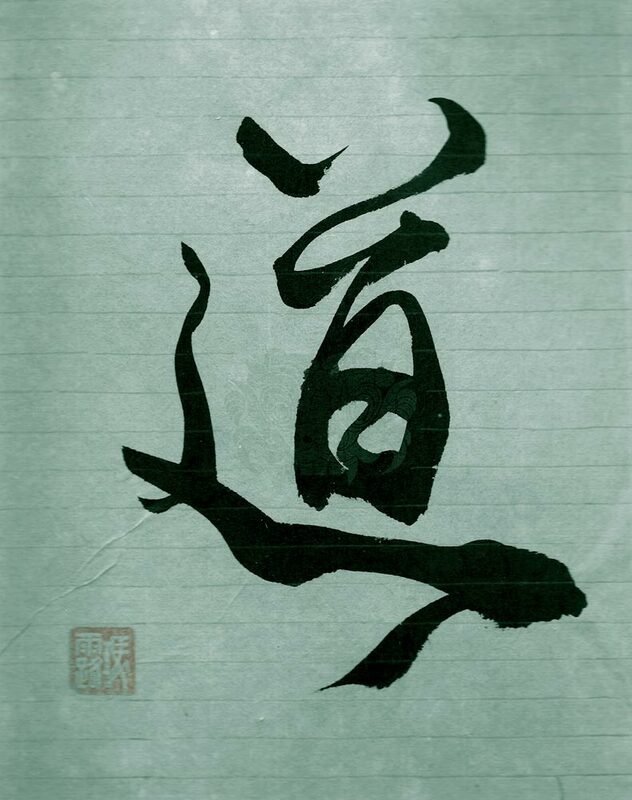 These pictures never died; the Chinese never created an alphabet like we Westerners have. 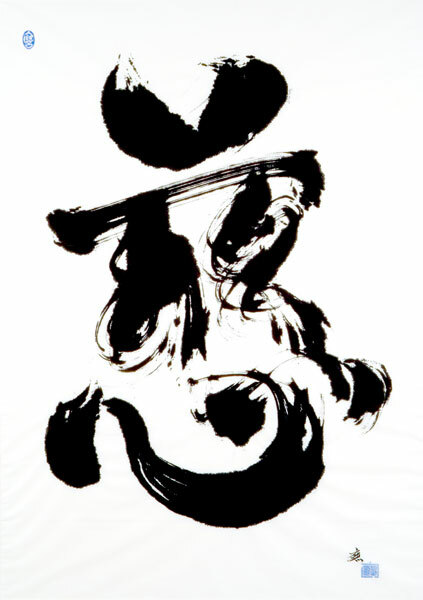 So what we still see are pictures, whether more apparent or very stylized. 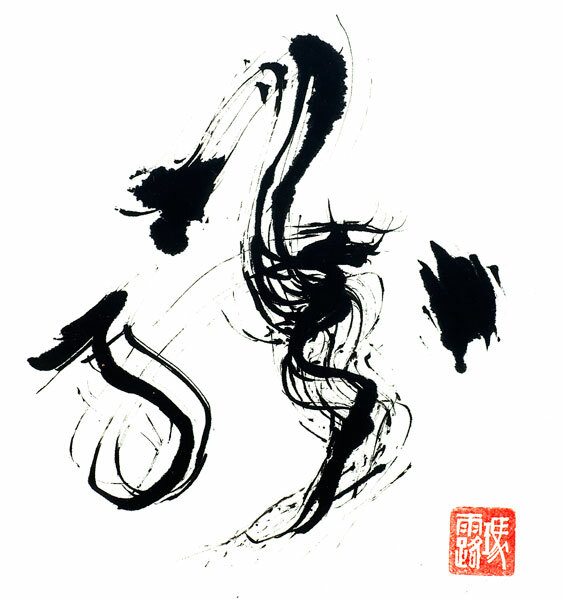 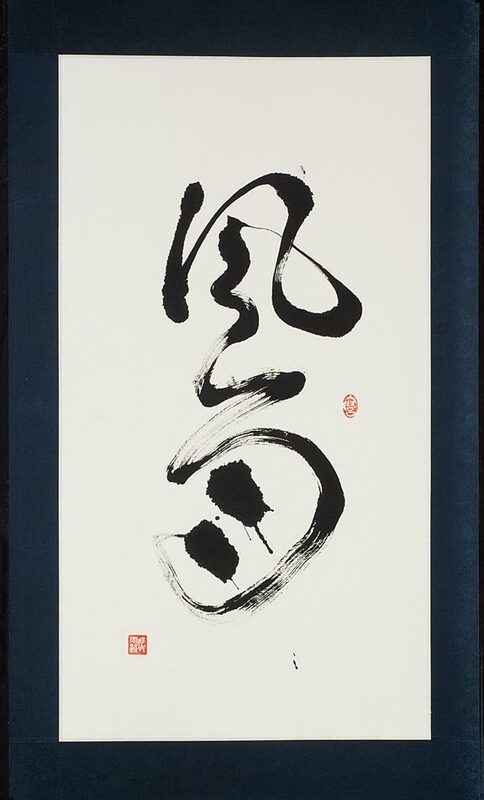 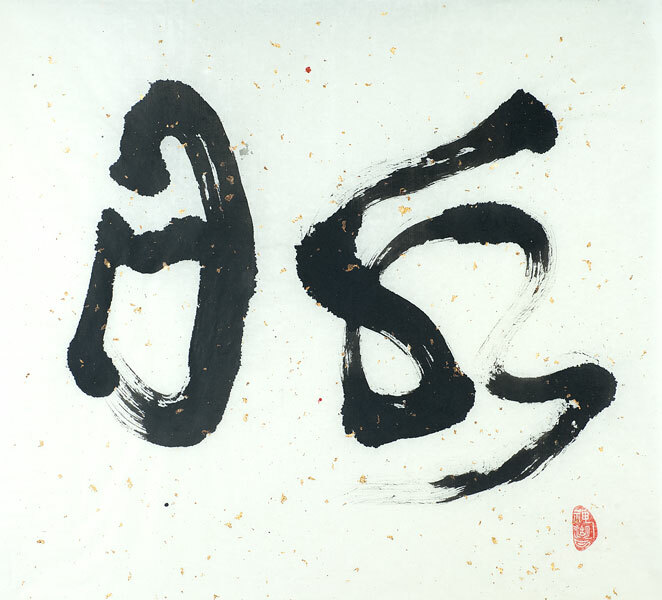 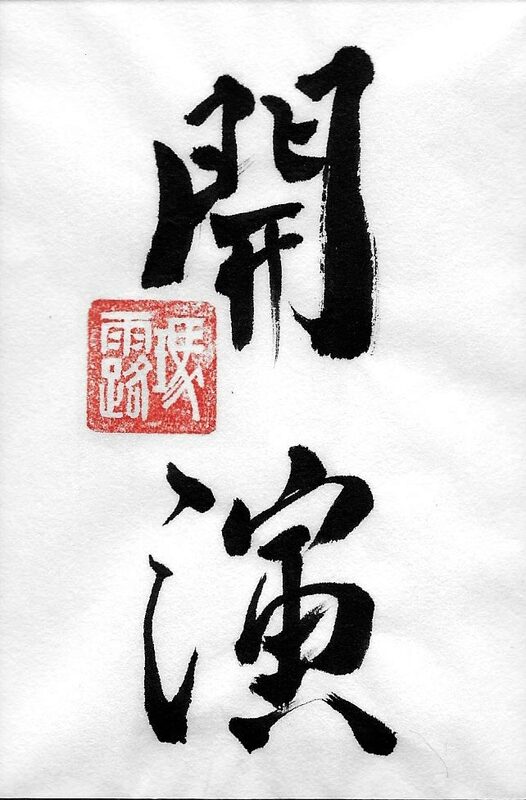 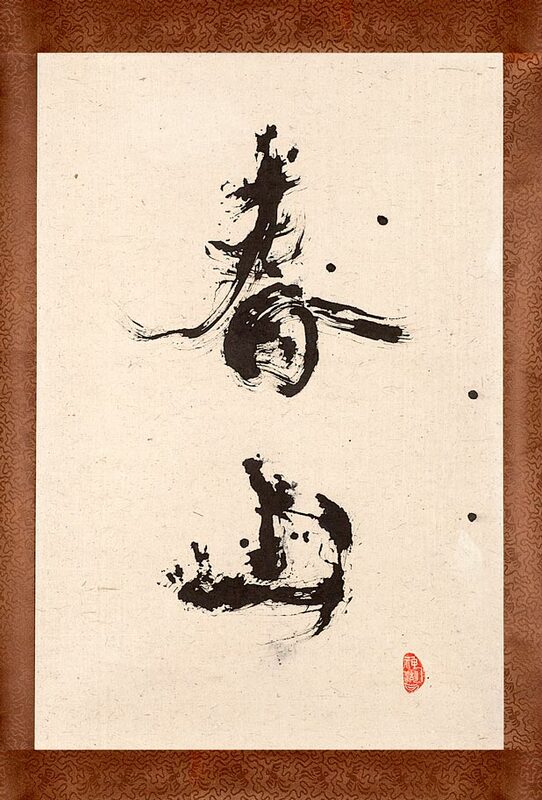 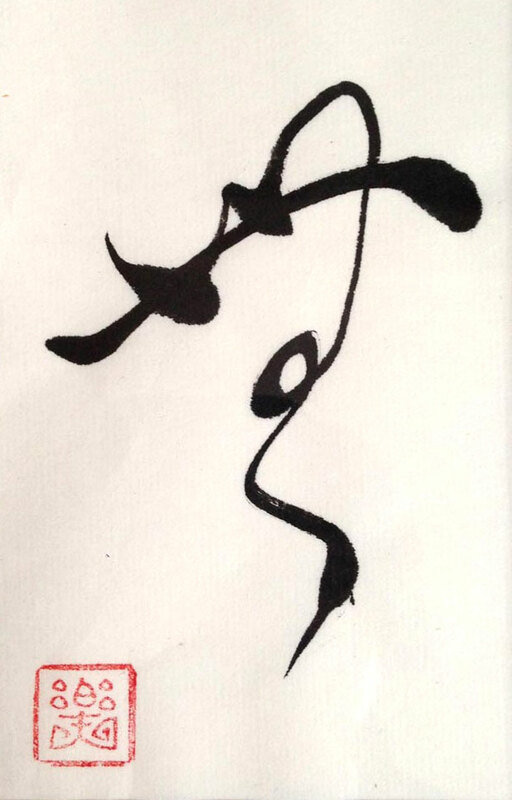 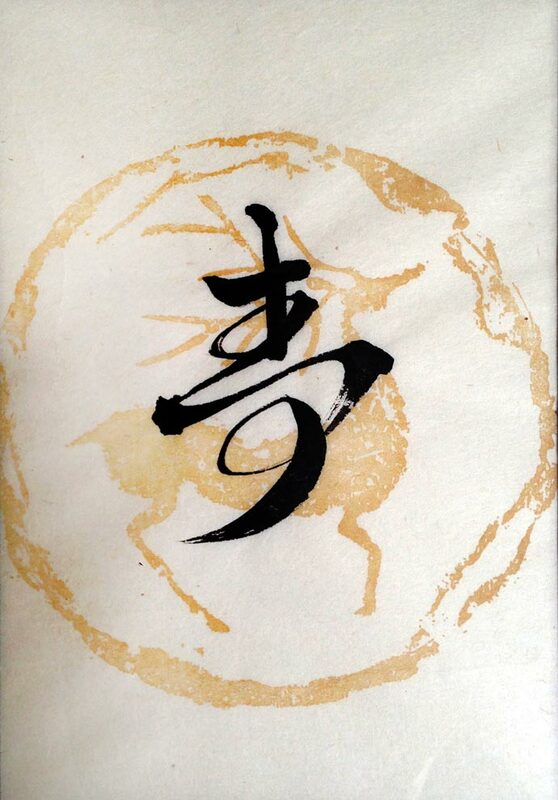 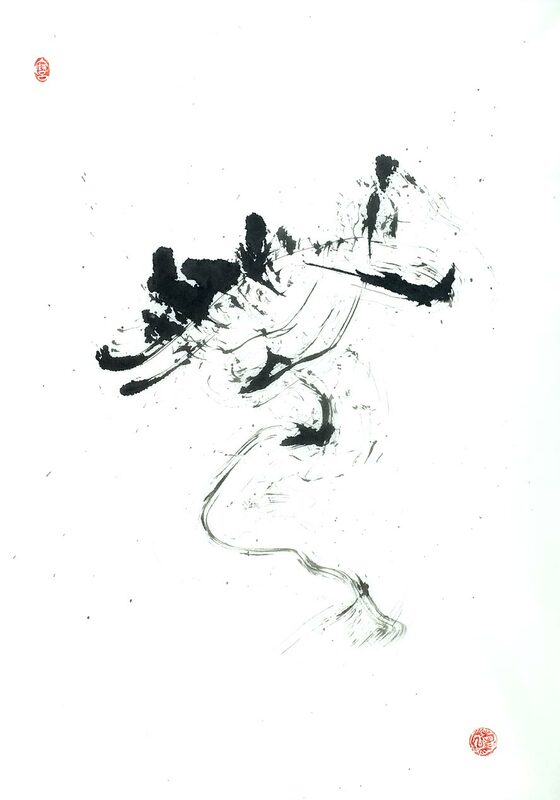 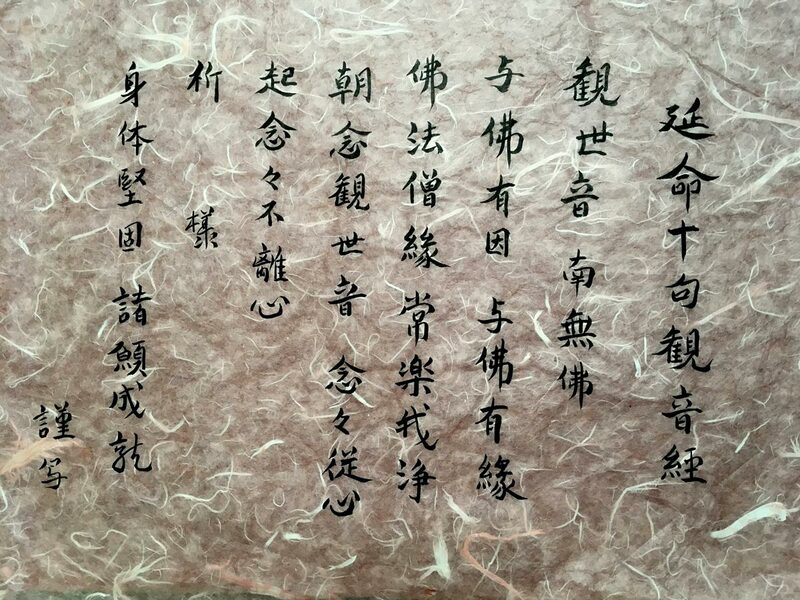 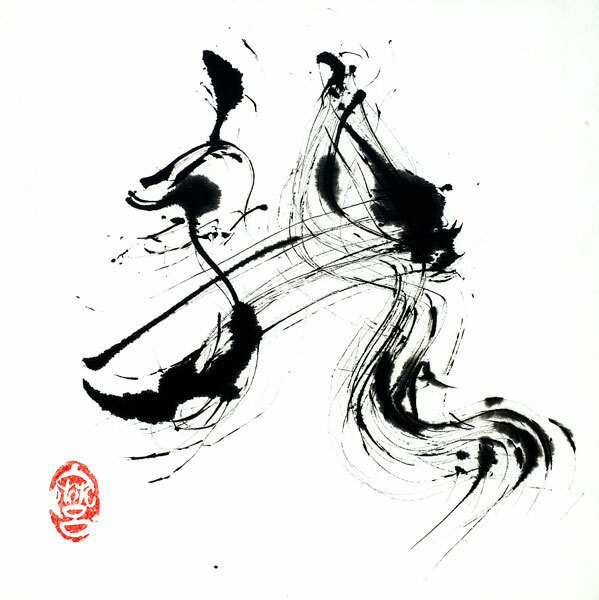 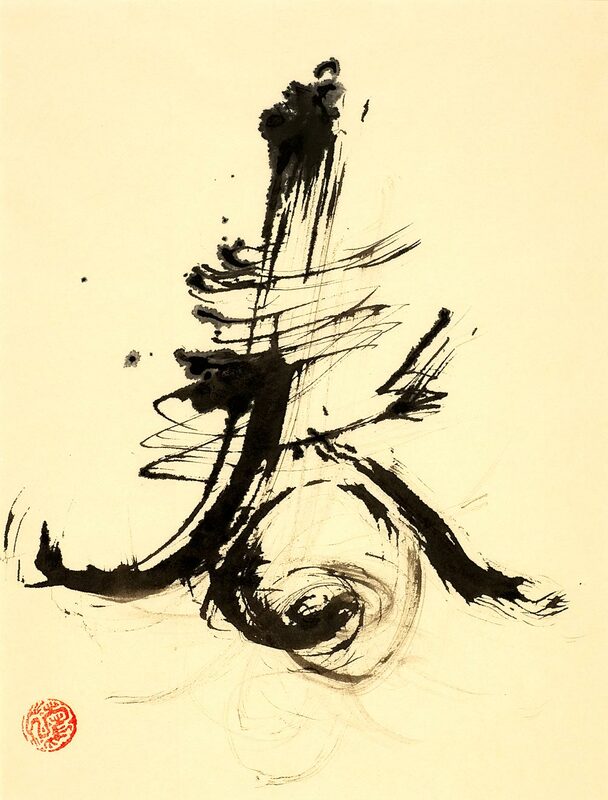 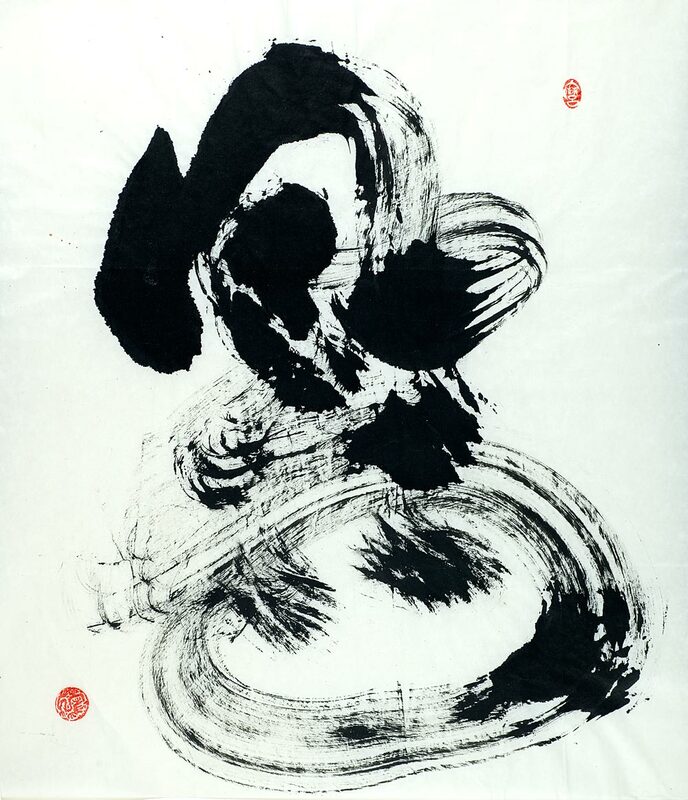 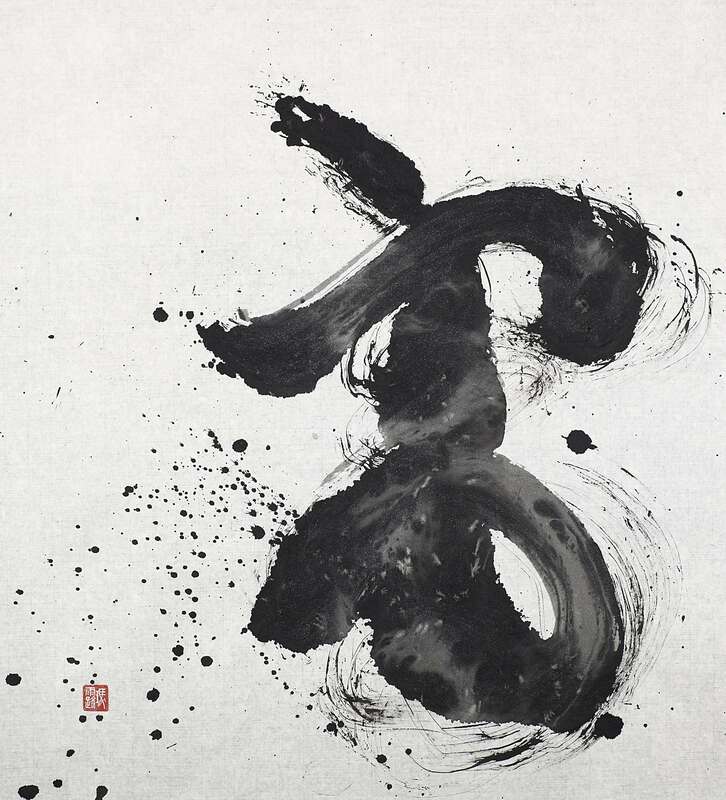 To comprehend the characters in calligraphy, we cannot just run to a dictionary. 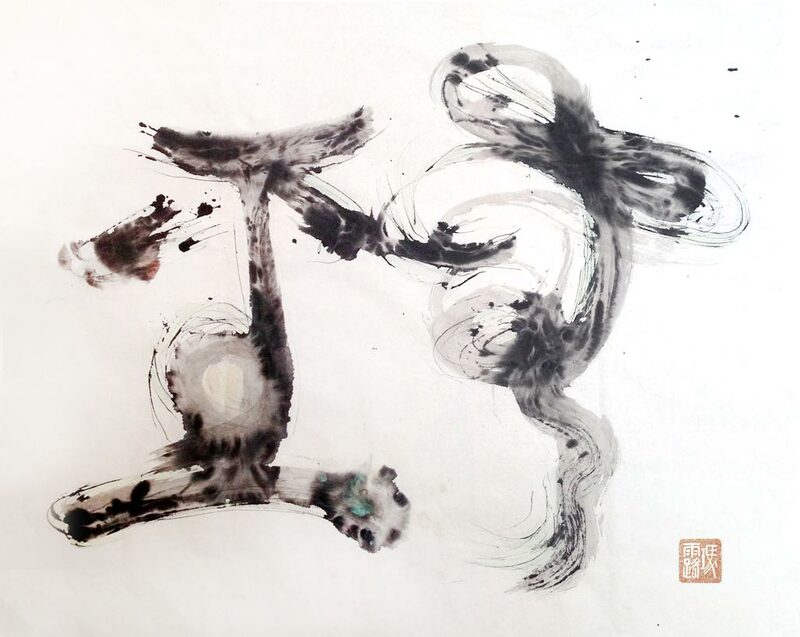 The Chinese say that a picture is worth a thousand words; we cannot describe a picture completely, but we can get a feeling for it. 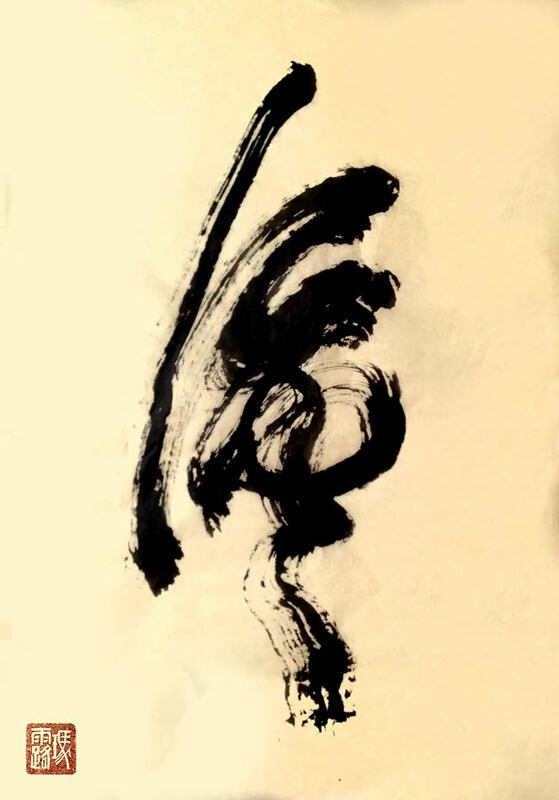 Like music, we can be magically transported to a different realm, moved by its beauty, or woken up and shocked by it without having to know how to read the score. 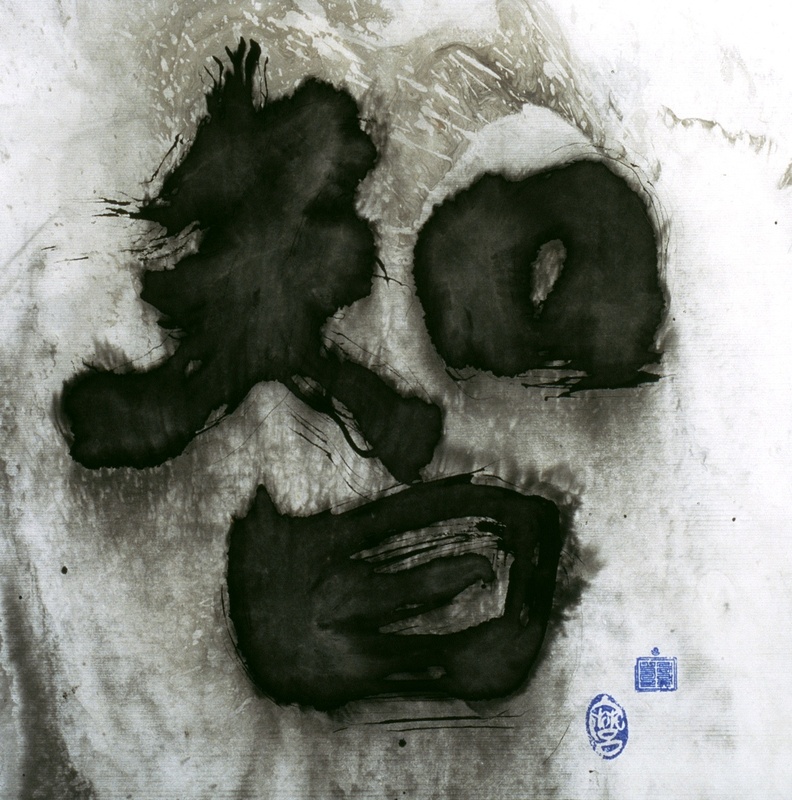 From the original scratches, the Chinese developed the rendering of their characters into the highest art form of their culture using brushes, ink, and all forms of paper and cloth. 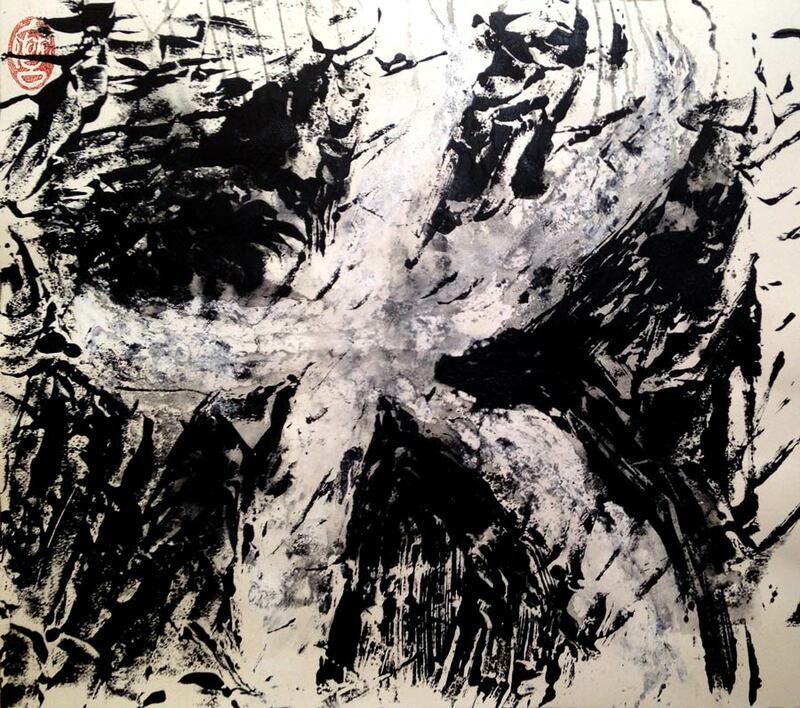 I encourage you to view this art with an open and flexible mind and welcome any associations you may experience.